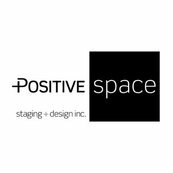 7 Reviews for Positive Space Staging + Design, Inc. I have been shooting the Sandra's work for a few years now. Well you've seen the photos, got some great ideas, what more can I say. Over the past 11 months we have had our 24 year old family home renovated, staged and sold and our new home renovated and decorated.